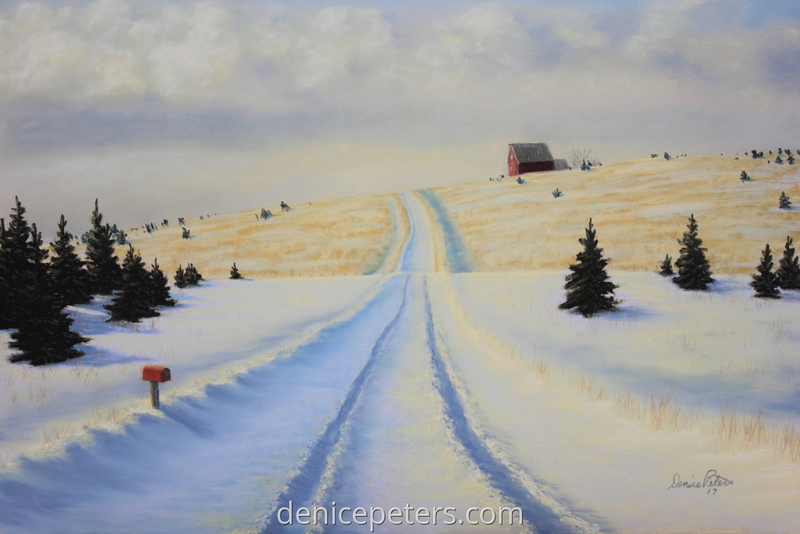 A distant barn on a snowy landscape and a road leading up to it. The road shows someone drove through the snow leaving tracks. Made me wonder who, and where did they go.